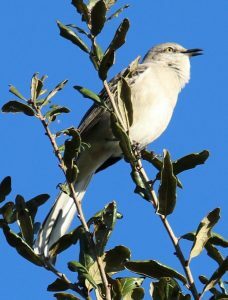 On our recent educational excursion (see part one here) we visited many wildlife preserves. 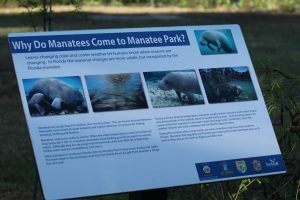 One of the preserves, the Lee County Manatee Park, had a great website with a lot of “downloadable” educational documents. These documents were your typical “coloring sheet”, “scientific data with a quiz” and “chart of the animals you will see”. Manatees at the manatee park only showed us part of their body at a time. At an initial glance none of the “free lessons” they provided were compatible with Waldorf education. Or were they? One advantage of having an organized curriculum to work from like the Earthschooling curriculum is that it allows you a structure (including tutorials in method) to “plug in” additional materials. 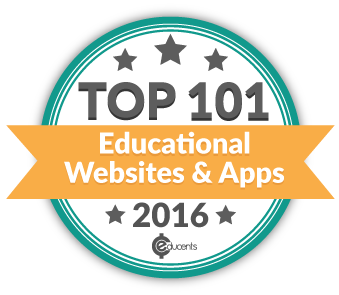 This made our job of converting the materials from the website much easier. Waldorf education has many layers. The teacher/parent is usually trained in Waldorf education, or is training themselves in the methods and philosophy along the way. Waldorf education also involves specific educational goals each year that honor the child’s mental and spiritual development. So, for example, children in fourth grade have a special “Man & Animal” block and students in second grade have a special “Saints and Heroes” block. Waldorf education also uses special tools such as beeswax crayons, natural colored pencils and natural paints. There are even some specific methods used with these materials such as wet-on-wet watercolor painting. In addition, Waldorf education uses lesson blocks and not worksheets. So how could we use these online “packaged resources”? 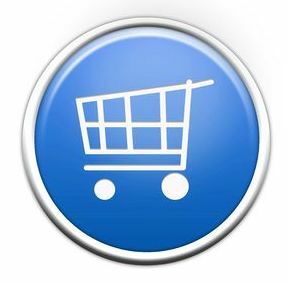 In most cases I will print out the resources so that I have the background information and basic scientific facts. I will then teach the lesson using my Waldorf tools and styles. Students will put the lesson into their Main Lesson Book instead of doing the worksheet and I may even find a story to go with the lesson. I have provided some examples, based on our manatee trip, below. The first document we looked at was the manatee poster. 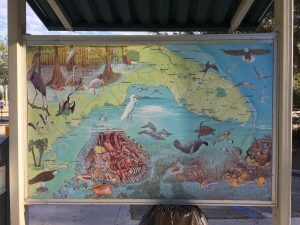 The back of the poster had some drawings and information about manatees that were presented at a high school level. Looking at this I was able to see that this was very similar to the lessons my student would be learning in high school zoology so for my high school student I could simply print out the sheet and have them read it and copy the drawings as their assignment. 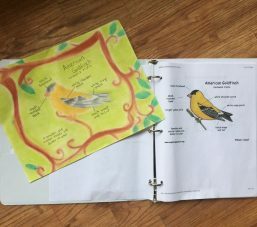 From looking at the Earthschooling Kindergarten and First Grade Wildlife Curriculum we can see that first graders learn about the habitat, eating habits and needs of each animal. Knowing this, I can easily add this information about manatees to our existing curriculum lessons. To enrich the print outs I downloaded from Lee County I wanted to find a story to tell the children. Stories are the cornerstone of the Waldorf Main Lesson. So to be able to present my “worksheets” in Waldorf style I wanted to start with a story. 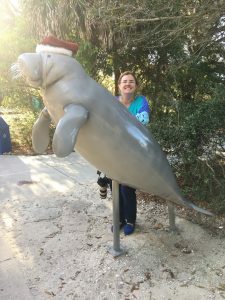 I was able to find one lovely story about a mermaid (manatees are said to have been mistaken for mermaids on many occasions) HERE and another lovely poem (perfect for preschool through first grade) about a manatee HERE. When searching for stories online be sure to use multiple search terms. 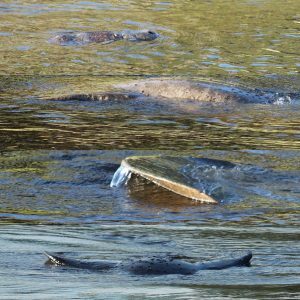 It was difficult to find manatee stories because all the top searches turned up articles comparing manatees to mermaids. However, in the case of other animals if you simply type in “wolf myth” or “cat fairytale” you will come up with some lovely stories on the first search page. My first choice of search terms is (topic) + the word myth, fairytale, story for children, fable or origin myth. If this does not come up with any results I will add a culture to the search so it may look something like (topic) + myth + Native American. Looking at the Fourth Grade Man & Animal Block we can see that students of this age focus on the structure of the animal and compare the animal’s shape and needs to that of themselves. So I would take this information from the “worksheet” provided by Lee County and I would share it with my students using the structure laid out in the Fourth Grade Man & Animal Block. I might also encourage students to copy one of the more simple drawings of the manatee and label it. Below is an example of how we did this with a worksheet provided by a bird website. In this example, we printed out the worksheet to use as an image to copy from. However, we copied it using the colors and style of Waldorf Main Lesson Books. The student included a border, as is traditional in the Waldorf Main Lesson Book. As I was looking for Manatee Fairytales or stories for the younger children I also came across some wonderful information for my fourth grade students. There are many articles online comparing mermaids and manatees. This is just the information I need to integrate manatees more deeply into the Main & Animal Block. These resources, like the one from National Geographic HERE provide a lot of comparisons between “(wo)man” and “animal”. Looking at our curriculum again we can see that third graders focus on gardening. Lee County had a very nice brochure on “Butterfly Gardening in Florida”. This would have provided a great guide for creating a garden for third graders. As a teacher I could have taken this information and presented it in chalk drawings and stories. I could then help the students create their butterfly garden based on the information provided in the brochure. However, the brochure was for Florida and we live in Iowa so we were unable to use that resource. We would need to do a search for a brochure in our own area. A life size sculpture can be inspiration for some clay work or beeswax modeling. Bring some clay or beeswax with you in a small baggie and enjoy the outdoors as students model their animal. The butterfly identification guide, however, was very useful. We used that as a free identification guide to identify butterflies we saw while we were there. This type of free guide is very useful because no matter what curriculum you have you will always need to adapt a bit to where you are. You may have different animals, insects or plants where you live. So along with doing the Earthschooling science lessons you will also want to make sure you add in some animals, insects and plants from your local population. You can simply fit these extra items into the existing curriculum structure you already have. Visuals at the educational site can be copied into Main Lesson Books on site or you can take a photo like this one and reproduce it as a chalk drawing later. So as you can see it is very easy to adapt the free resources you find as you travel. All you need is a structure to put them in to. Even if you are not fully trained in Waldorf education you can user what knowledge you do have to adapt the lessons you find. 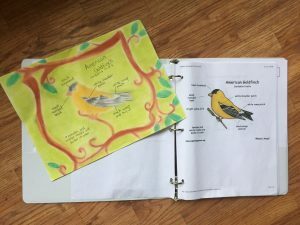 As long as you are using natural materials (like beeswax crayons, felt, and natural watercolors) to create the lesson, you include a story, and you have students work in their Main Lesson Book, you will be off to a good start! See our next article (Earthschooling Excursions: Part Three) about how to incorporate a Waldorf rhythm into your adapted lessons or “lessons on the go”. Thanks for posting this. It was helpful. I find stuff when we are out and try to adapt them to a our style of homeschool. This has simplified it.